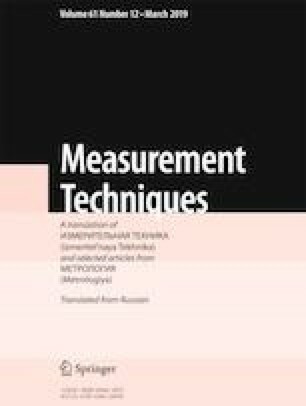 New structural designs of integrating devices by means of which the precision of integration of electrical signals in the range of ultra-low frequencies 2·10–3–3 Hz may be increased are presented. Practical designs of second-order integrators and their transfer functions are considered. Results of calculations that confirm an increase in the precision of integration of signals by a second-order integrator by comparison with a first-order integrator as a function of the frequency of the device are presented. Translated from Metrologiya, No. 4, pp. 37–50, October–December, 2018. S. V. Anisimov, E. M. Dmitriev, E. B. Anisimova, and S. S. Bokastov, “The information measurement complex of the borok geophysical observatory,” Vest. OGGGGN RAN, www.scgis.ru/russian/cp1251/h_dgggms/4-2000/anisimov.htm, acc. 05.30.2018.